Around 600 buildings in the UK have similar "combustible cladding" to Grenfell Tower, a spokesperson for Prime Minister Theresa May has said. Tests have revealed that at least three tower blocks across the UK are fitting with combustible cladding, with hundreds more checks planned, Sky News reports. The Department for Communities and Local Government says details of at-risk structures will be revealed after residents are informed. 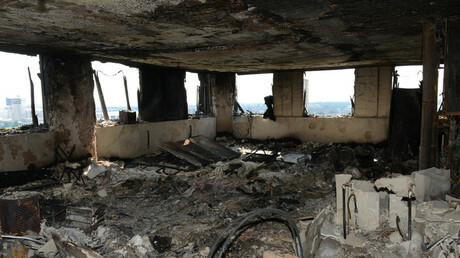 Speaking in the House of Commons on Thursday, May said said local authorities and fire services concerned are taking “all possible steps” to ensure buildings are safe. More information about where these flats are will be released later on Thursday, she added. May said 100 tower blocks a day are being inspected, with results coming back "within hours." “For any guilty parties there will be nowhere to hide.” she added. She said every family is being paid £5,000 ($6,300) in cash to help them cope, and that every adult over 16 in those families is getting £500 in cash. She said it is important for people to know that they will not have to pay back the money and it will not affect their eligibility for benefits. Survivors will not be subject to immigration checks, she added. People will be rehoused in equivalent homes, she said. Some 68 flats have already been offered at cost price in a new block of flats. She added that no one will have to move anywhere they do not want to go. The prime minister’s statement before parliament came hours after Kensington and Chelsea council’s CEO resigned following criticism of the borough’s “chaotic” response to the Grenfell tragedy. Nicholas Holgate says he was asked to step down by Local Government Secretary Sajid Javid. This is denied by the government. In a statement issued by the council, he said: “Despite my wish to have continued, in very challenging circumstances, to lead on the executive responsibilities of the council, I have decided that it is better to step down from my role, once an appropriate successor has been appointed. “He had to go. His council went awol in the days after the terrible fire – at a time when the victims, survivors, those families still looking for their family members who were missing, needed help on the ground and, above all, someone to reassure them and coordinate the relief and help efforts. Insulation boards fitted to the outside of Grenfell Tower during a refurbishment gave off highly toxic hydrogen cyanide gas which may have continued to the deaths of some of the victims, experts told Sky News. The insulation was made of Polyisocyanurate (PIR), rigid plastic foam sandwiched between two sheets of aluminium foil that supplied in 15cm-thick boards. Richard Hull, professor of chemistry and fire science at the University of Central Lancashire, told Sky News that the gas produced by the insulation when it burned may have been deadly. 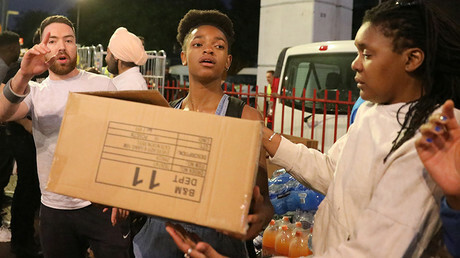 At least three of those injured in the fire have been treated with an antidote for hydrogen cyanide poisoning in hospital, and the number of those affected may be higher, according to King’s College Hospital sources. An initial 68 patients were taken to six hospitals across London, with 18 receiving critical care, and some put into induced comas to aid in the recovery of damaged airways. As of Wednesday, 10 people were still being treated in four hospitals – six of them in critical care. The Fire Brigades Union (FBU) is sending a letter to MPs today raising concern about fire safety regulations in Britain. 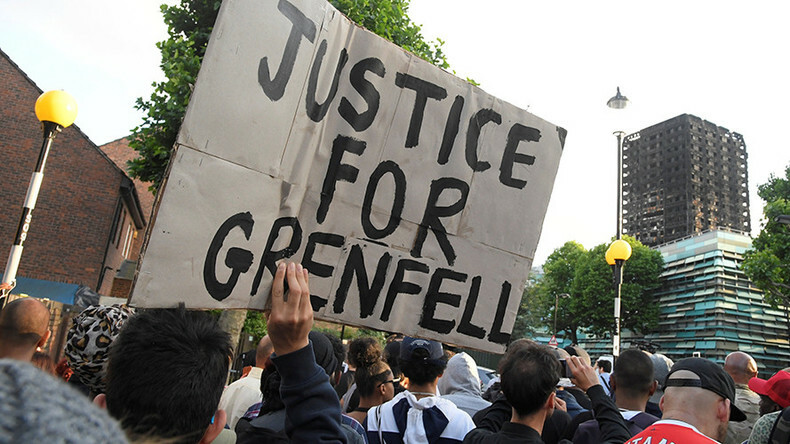 The letter goes on to say: “The FBU believes the public inquiry will fail the victims of the Grenfell fire and betray communities across the UK if it does not address the critical matter of fire safety protection for every home and every workplace.